how does the interaction between sigil captain and coat of arms work? Can changelings be really strong? TypicalTimmy on "I Will Keep Watch"
How about Brimaz, King of Oreskos ? He literally makes cats all over the place. Also a Mutavault might not hurt. Coat of Arms would make them all huge. Perhaps a Cavern of Souls , if you have the cash or just proxy depending on playgroup. some other interesting stuff might be Eldrazi Monument , Herald's Horn , Coat of Arms to capitolize on tribal goodness... Wrap in Vigor might come in handy against a lot of sweepers and Bow of Nylea is just all around fantastic imo. SP3CTR3_chelts I think I’ll remove 2 check lands from the deck since I don’t really feel comfortable going below 35 lands since I don’t have too much mana ramp in the deck, excluding the ones that put land onto the battlefield. Then I’ll remove Combat Celebrant , Wild Pair , Gruul Spellbreaker , and Samut, Voice of Dissent , Bow of Nylea since a lot of the time the creatures don’t get blocked anyways, and swap out Coat of Arms for one of the other tribal artifact. Swapping them out for 2-3 pieces of removal, maybe a Mystical Tutor , probably 1-2 signets for the deck into the deck for some more mana ramp, and getting Coastal Piracy and Keep Watch into the deck for some more card draw. drpeppercan I can see how Creeping Renaissance could be good to get back some of my good warriors and how Asceticism will help keep them around. I also like Odric, Master Tactician since it will make Sure attacks go through. I think if I were to swap Coat of Arms out I may go with Door of Destinies since it would keep the buffs on my board only and costs less mana. 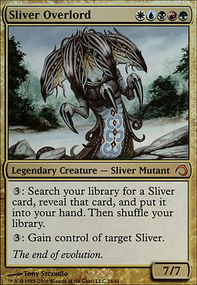 Although none of my creatures really cost all that much to justify Urza's Incubator but I could see getting a Herald's Horn since it also provides card advantage. What cards do you think I should remove if I were to swap stuff out? Creeping Renaissance makes for excellent wrath recovery. Asceticism protects your vulnerable creatures. Odric, Master Tactician isn't a warrior, but he will make sure you hit every single time. Bit of a warning that Coat of Arms can help out opponents more than you sometimes, Door of Destinies can be slower off the start but provide a safer buff. Urza's Incubator and Herald's Horn are just straight gas for getting your stuff out quicker. Triumph of the Hordes is a cheesy way to win at times taking advantage of the infect, but it is a great way to get lethal in quicker with a deck heavily focused on combat. How are you casting your commander? I don't really see anything to enable Rakdos on turn 4. 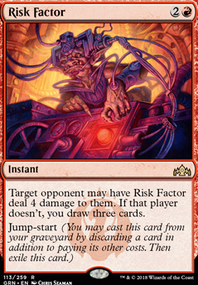 Getting Rakdos out on turn 4 puts significant pressure on the board and quickly puts you ahead since you can get out your demons quick. If you're looking for easy pings to enable Rakdos: Spear Spewer , Nettle Drone , Thermo-Alchemist , Lobber Crew , and many more. 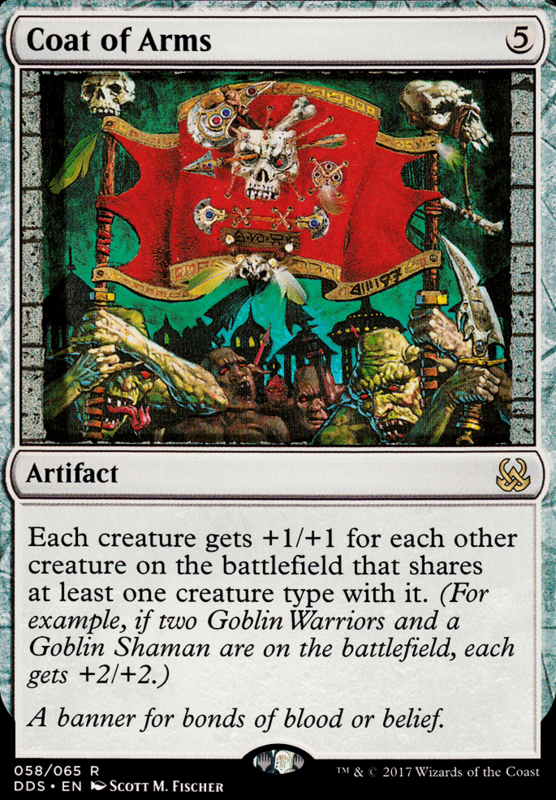 If you're set on the tribal route then there's options for more tribal support like Coat of Arms or Belbe's Portal . 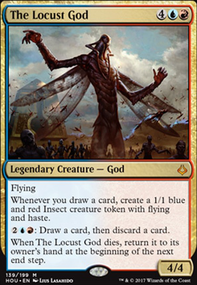 Although if you can get Rakdos out consistently you probably don't need things that cheapen creatures in your tribe. 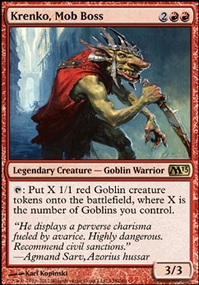 You may want to consider Rakdos the Defiler , he can be a crazy end game finisher.